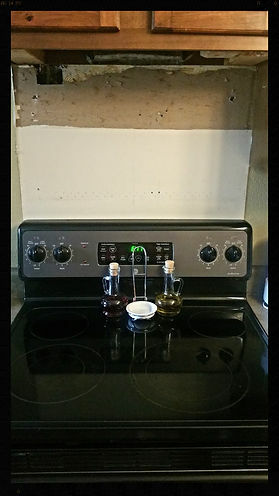 So, last night I needed to make dinner. We were out playing outside all day, I had nothing lined up to make! and a jar of organic marinara sauce. Spaghetti is always quick and easy. Looked in my fridge and found a package of chicken sausage stuffed with feta cheese and spinach. 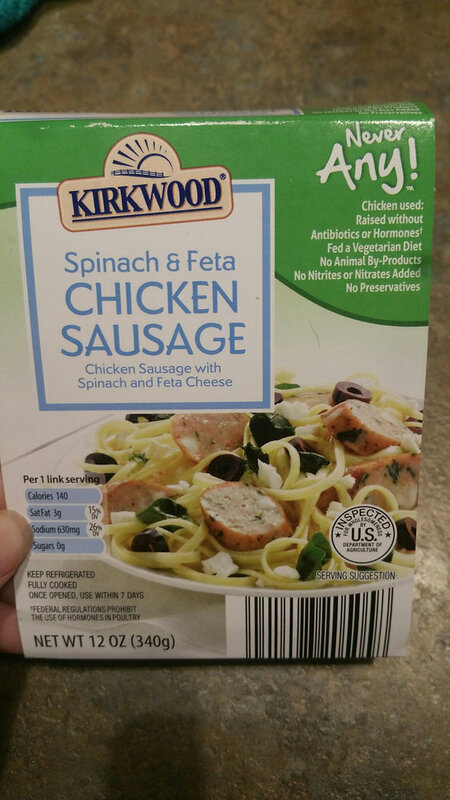 The sausage is all natural, no nitrates or nitrites, no hormones or antibiotics and the chickens were fed a vegetarian diet! This was so quick to throw together and was pretty tasty! Grilled the sausage, boiled the noodles and warmed the sauce on the stove. and TADA!! Dinner was done! Both my kids ate it no problem. My 3 year old, she’s a super picky eater and she finished it! Other than a quick dinner, what did I really think? 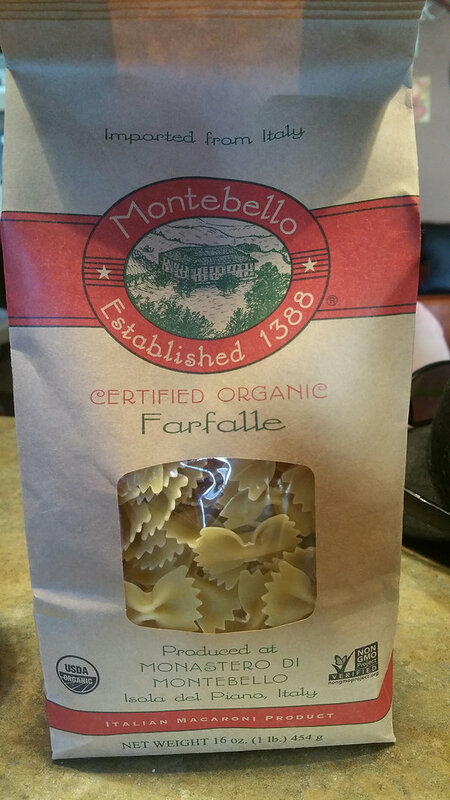 Montebello Organic Pasta- I was VERY surprised how well this cooked. Usually with organic pasta, I feel like once you get to the al dente state and can quickly turn to mush. This no where near got there. I cooked it for around 10-11 mins which is a couple mins past the instructions (only because I was multitasking) and it stayed firm! I did have some left overs and next day pasta can be very hard and tough. This was just as a great as the day before! Loved this pasta! I got this pasta from www.sprucefoods.com. Great website! 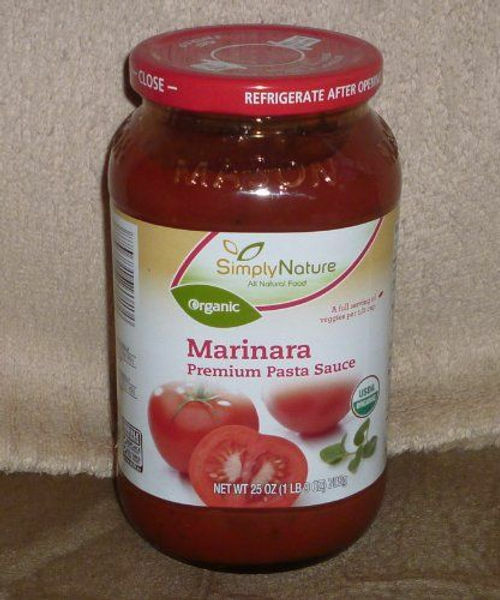 Simply Nature Organic Marinara Sauce- I was really happy with this sauce. It had some great flavor. Next time I’ll probably season it more with some oregano or basil, but this time I wanted it as is so I could review it appropriately. Ill continue to buy this. The ingredients were great! I buy this sauce at Aldi. 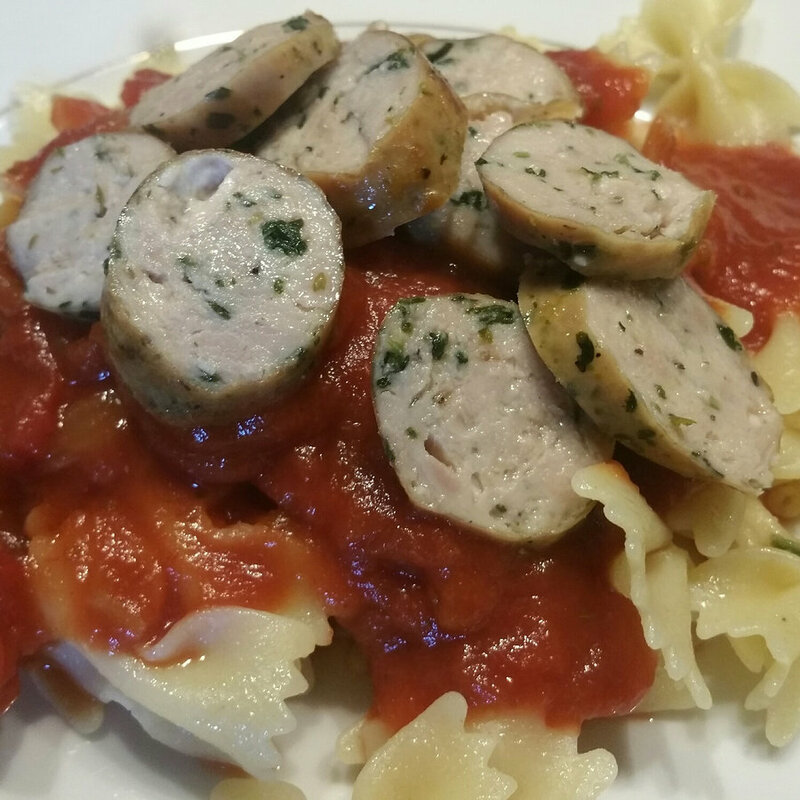 Kirkwood Chicken Sausage- It was easy to cook and tasted good! Kirkwood has a great line of Never Any! It’s meat without hormones or antibiotics, nitrates or nitrites and I’ve been really happy with this brand! What is your favorite quick spaghetti dinner? Share in the comments! There is so much knowledge right at our fingertips nowadays, we have to take advantage of it. With Netflix, Hulu, YouTube and other streaming websites you can find anything to watch. One that I always enjoy watching is a documentary. In one of the groups that I’m a member of on Facebook, one mom asked what were some great documentaries to watch, I was surprised when the comments came pouring in. Now, I’ve had a TO WATCH list before, but after I read the responses, my list grew greatly. Some of these I have watched already, but many I have not. So, I thought I’d share my list and hope that it would bring more awareness to certain subjects! Some of these cover the subjects of Food, Overall Health, Cancer, Toxins, Vaccinations, GMOs and more. I’d love to know if you’ve watched any of these and your thoughts. The knowledge is out there for us to educate ourselves on certain topics, we just need to make time for it. Stop living blindly. We need to make major changes in the world for future generations to be able to enjoy it. Have you watched any of these documentaries? Did you enjoy it? Did it change your mind on certain things? Energy Bars… I have a love/hate relationship with them.. I feel like most energy bars are pointless. The only energy you get is from the crap ton of sugar that’s in them. As quick as your sugar high hits, it’s gone and it leaves you hungry again. However, I do have admit, these were good. I was pleasantly surprised that these organic bars only have 12g of sugar and no high fructose corn syrup,artificial colors or flavors. 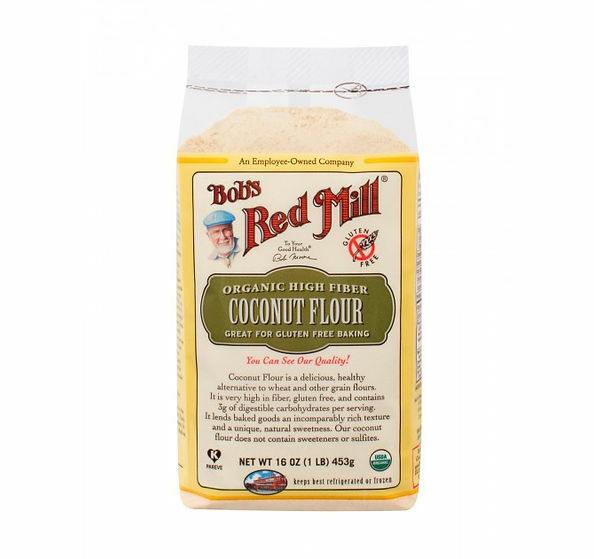 All of the sweetness comes from real food, no additives! 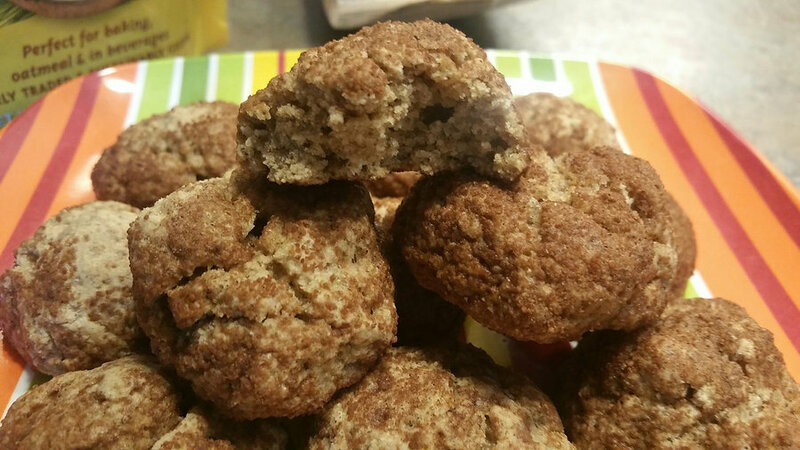 I was happy with the ingredients and it kinda tasted like a cookie! When my daughter tried them she referred to it as a treat. She loved it. So, in a pinch if I didn’t make my own bars, I know I could buy these and they would be okay. 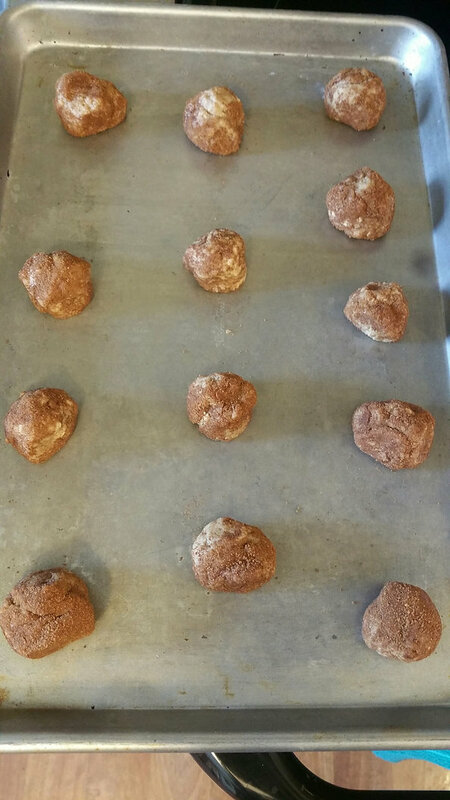 They do come in other flavors that I have not tried yet, but I have looked up ingredients for the other flavors and I thought they looked good. So if your looking for a snack to put in you or your kids lunch that’s not a candy bar or something loaded with who knows what. Pack one of these! 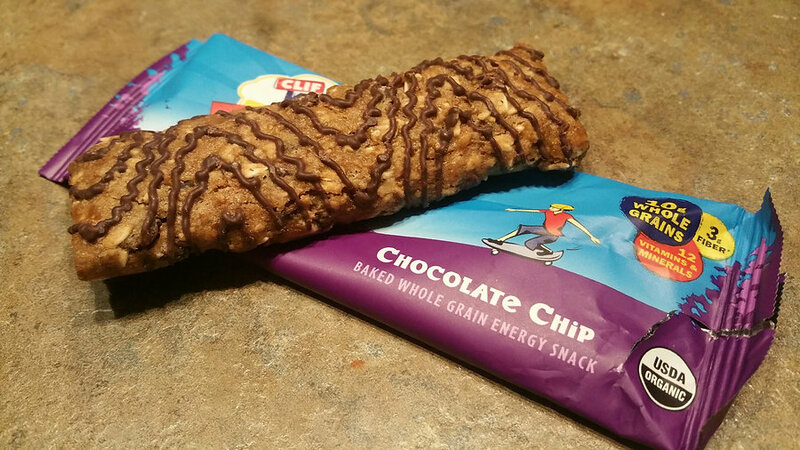 Have you tried the Clif Z Bars? What are your thoughts!? Man, I am a sucker for tacos, but sometimes I just like lettuce, veggies and salsa in a tortilla and I’m good. I’m not always a fan of the taco meat, so I’m happy when I can find recipes to change it up a bit. My husband got me a cookbook full of vegetarian recipes and this was one of them. Roasted Beer and Lime Cauliflower Tacos with Cilantro Coleslaw and fresh Pico! At first, I was hesitant to make it because with two young children, I just don’t have the time to spend forever in the kitchen making dinner without one of them having a meltdown of some sort. I was pleasantly surprised though that it came together pretty quick! Plus, it was delicious! Here’s what I did…. 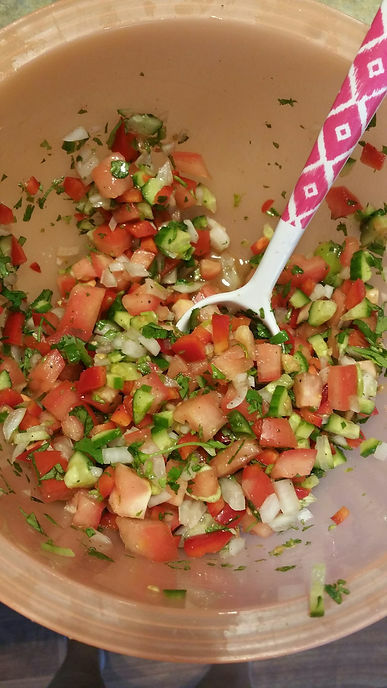 First, I made my pico… very simple. Dice all the veggies small. Next we’re going to multi-task a little bit. Here is what you’ll need…. I started with chopping the cauliflower, making all the florets the same size (no bigger than a quarter) and stalks removed. 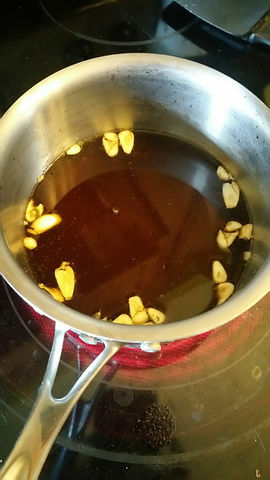 In a sauce pan over medium heat, warm the beer, vegetable broth, lime juice, tamari/soy sauce, hot sauce and garlic. 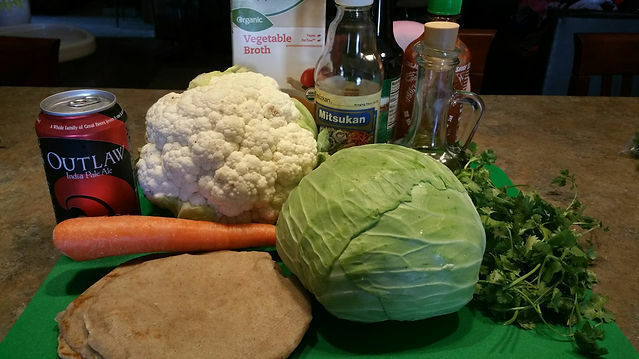 Drop the cauliflower into the mix and cook for 90 seconds. Remove from heat and drain. Next, take your chili powder, paprika, cumin, garlic powder, salt, oil, onion and mix in a bowl. 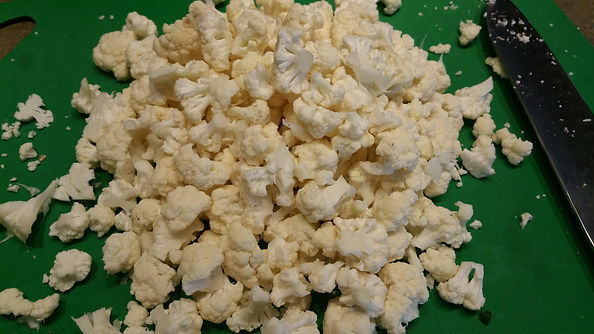 Put the cauliflower into the mix and coat evenly. 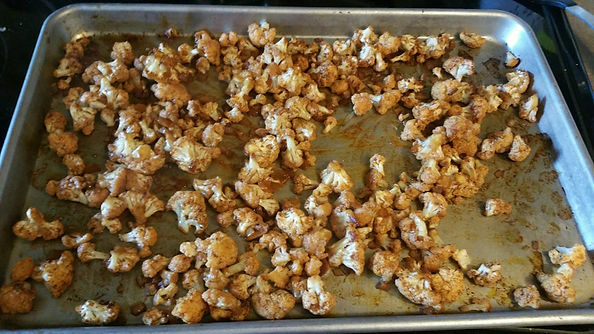 Spread cauliflower out on a baking sheet and roast for 20 mins in the oven. 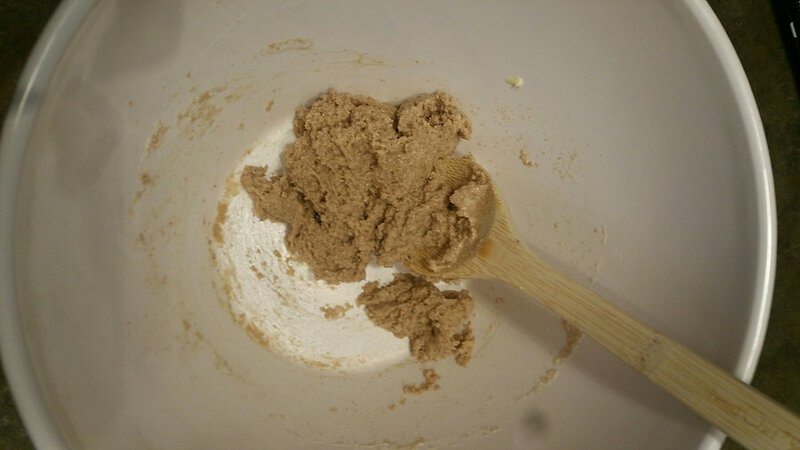 Stir halfway. 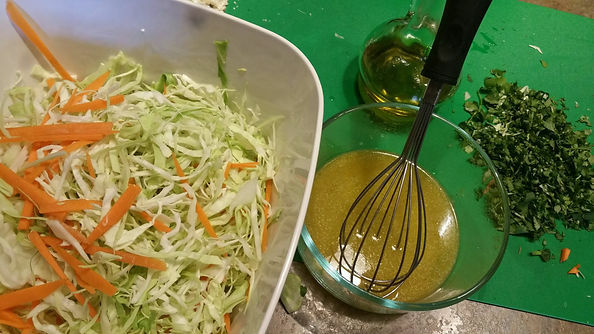 While the cauliflower is baking, prepare the cilantro slaw. 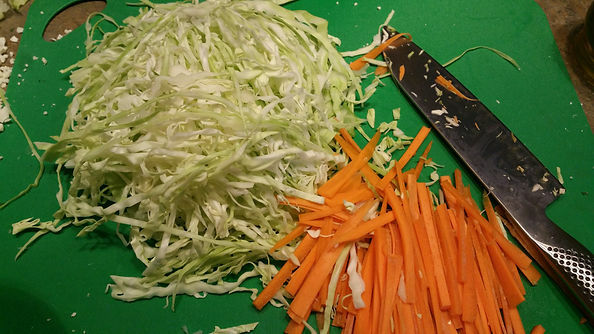 Chop the cabbage into skinny strips that are no longer than 2 inches. Do the same with the carrot and make into matchsticks. In a small bowl. combine oil, vinegar, lime and salt and whisk. 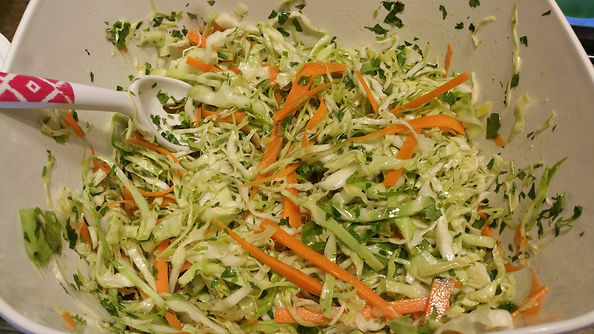 Pour dressing over cabbage mix and top with cilantro. 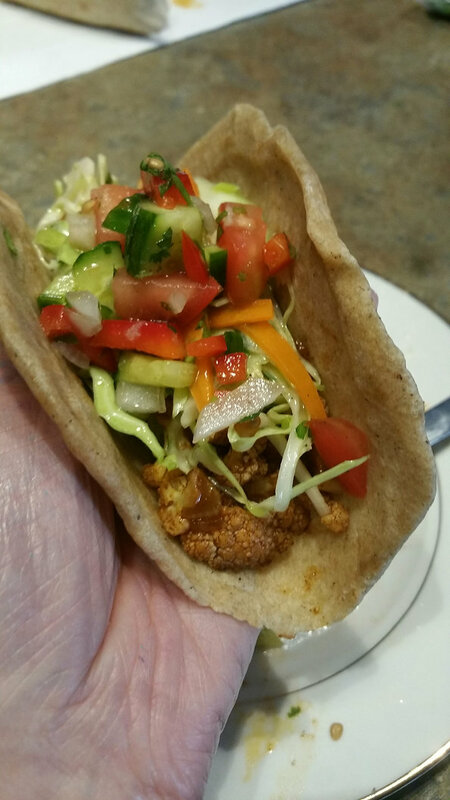 To assemble the tacos, warm the tortillas in the oven until hot and pile on the cauliflower. Top with some of the slaw and fresh pico de gallo. YUM! 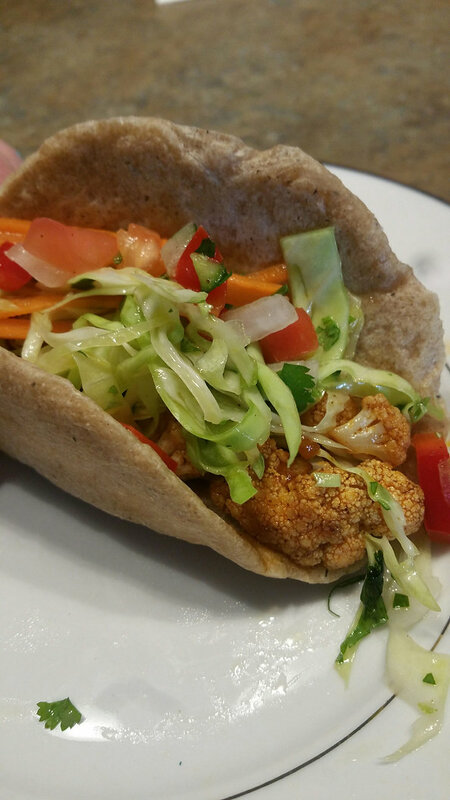 This was full of flavor and the cauliflower was a great substitution for the taco meat! 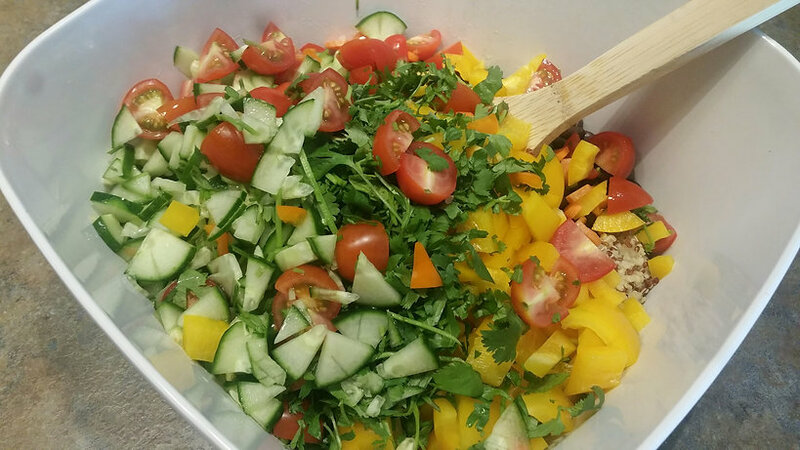 Oooo we love Quinoa salad, and eat a lot of it in our house. i usually make enough with the intentions to have left overs for lunch the next couple of days. 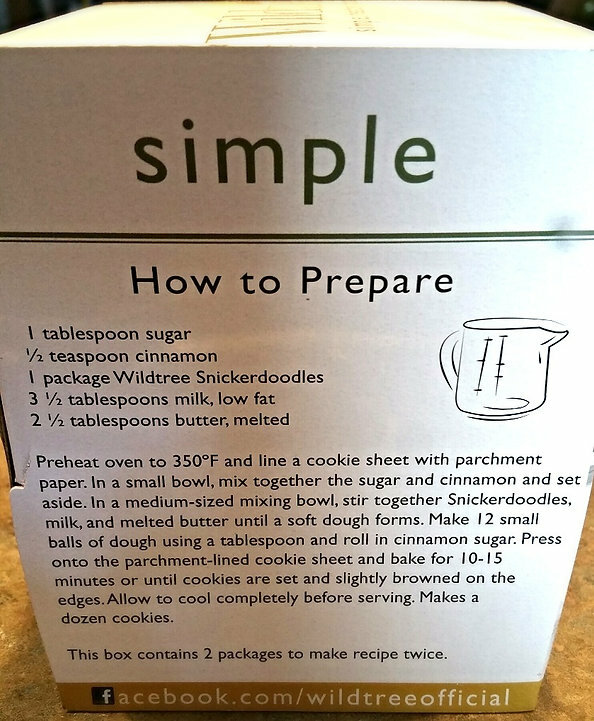 So this is one recipe I definitely want to share with you. 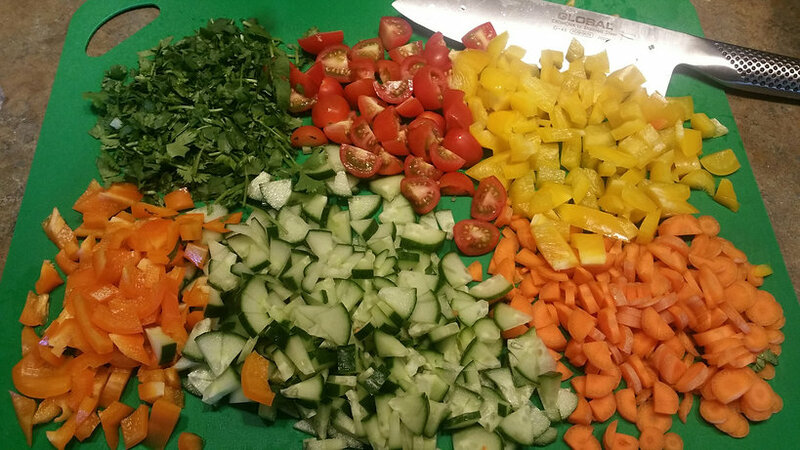 We usually just use a bunch of fresh organic veggies, but if you wish to add meat, go for it! 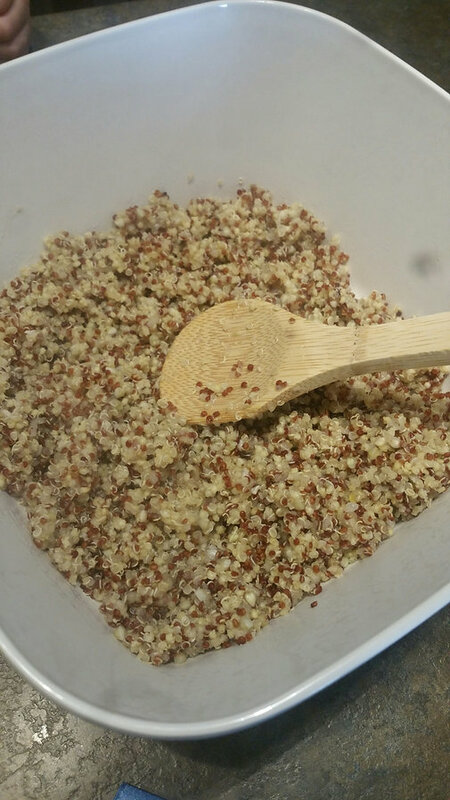 Rinse 1 cup of quinoa and cook according to instructions. Usually, bring to boil with 2 cups of water and let simmer for 15-20 mins, then let rest off heat for 5 mins. Dump into a bowl to cool. 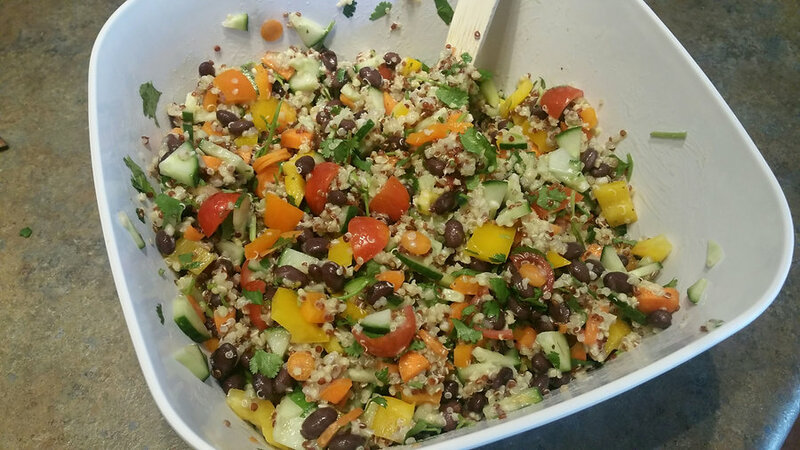 Dump veggies and black beans into bowl with quinoa. This next step you can play with to see what best suits your taste. The Dressing! I personally like to keep it simple but you can add whatever you like. Serve warm or chill and serve as a cold salad. Keeps well in the fridge. 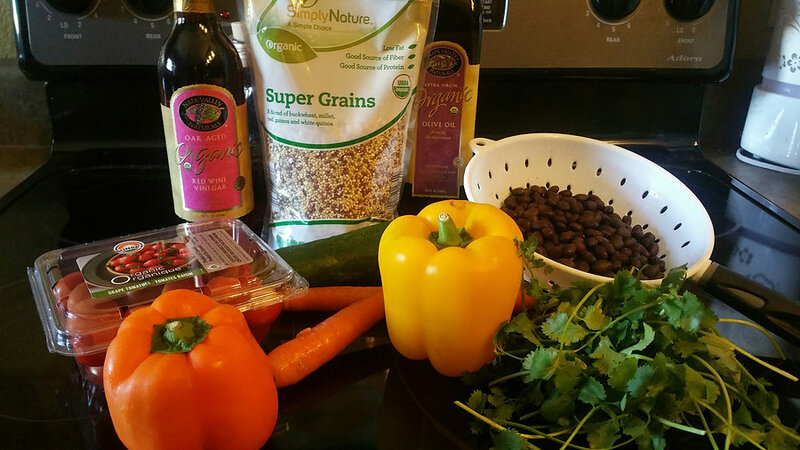 What are your favorite recipes using quinoa? Let’s start off the reviews with the most important meal of the day, breakfast! 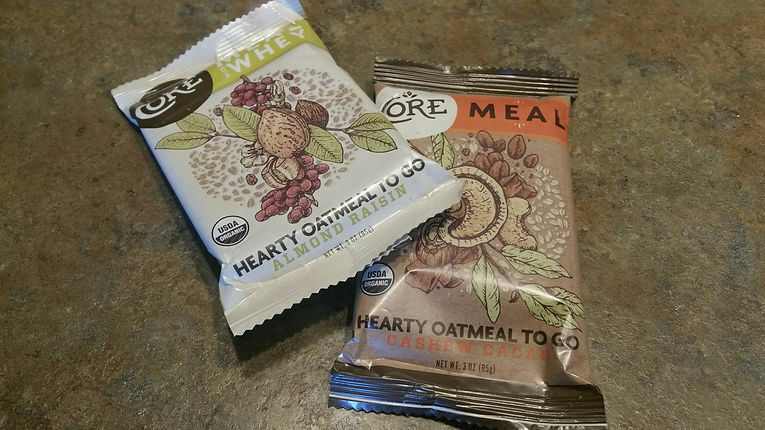 CORE Foods offers great oatmeal bars that you can grab right out of the refrigerator and head out the door. 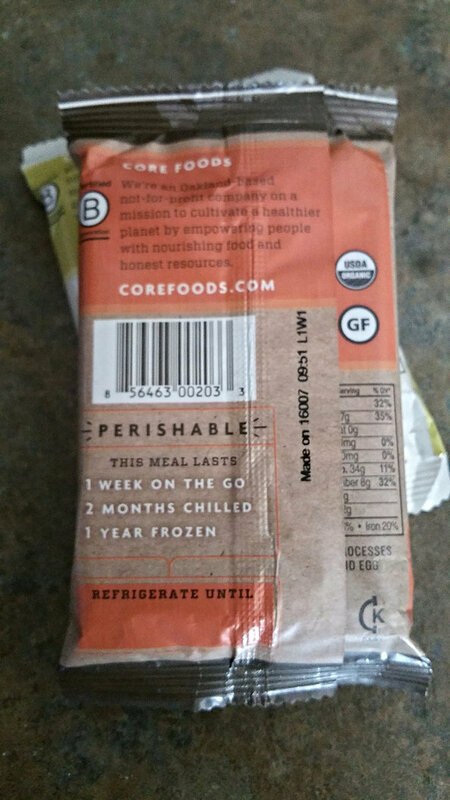 CORE Meals are the only 100% organic, gluten-free packaged meals to go that don’t contain any added syrups, oil, salt, and preservatives. 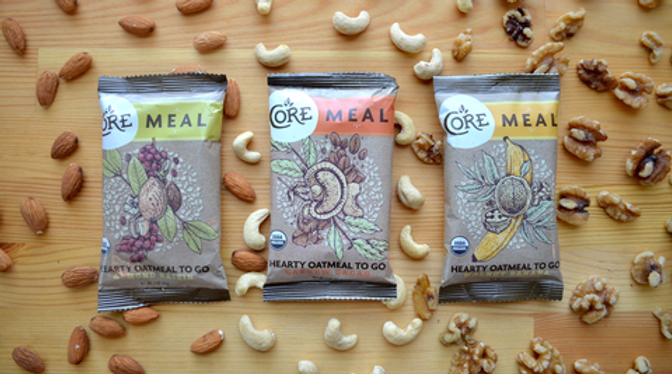 Perfect for breakfast, workouts, travel, outdoors, busy days, and anytime you need a healthy meal on the go. I was excited when we got these, as we are always looking for quick meals for my husband to take to work in the morning. Convenience is always a plus. When Joe and I first tried them, I think we were both a little surprised. I was expecting more of a moist granola bar, but this wasn’t the case. It’s a little drier, however the flavor is definitely there! We both felt satisfied and was able to go about our morning without being hungry again until lunch. 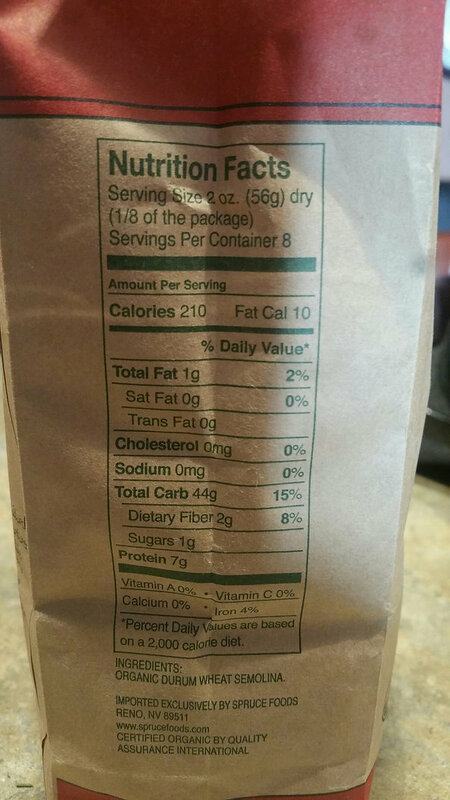 If you’re looking for that regular, sweet tasting meal bar to tide you over to lunch or dinner, this probably isn’t for you. Personally, I like this, because those meal replacement or snack bars make me crave more, since they are sweet. 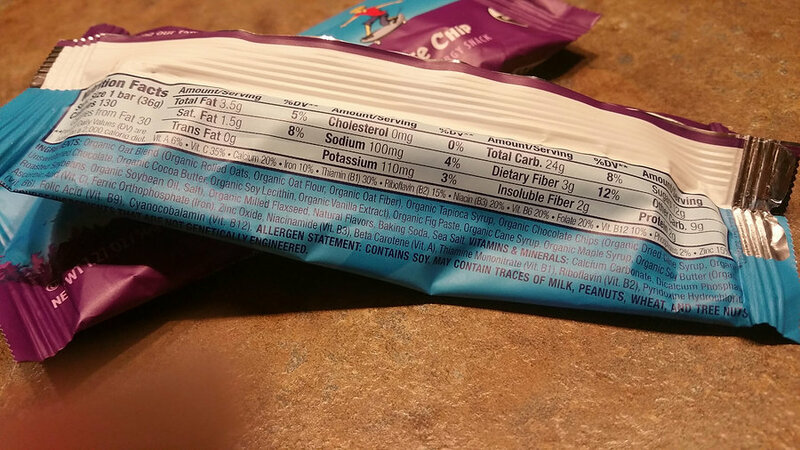 The CORE bars, depending on the flavor has at most 17g of sugar, due to the raisins. All others, range around 6-8 grams. 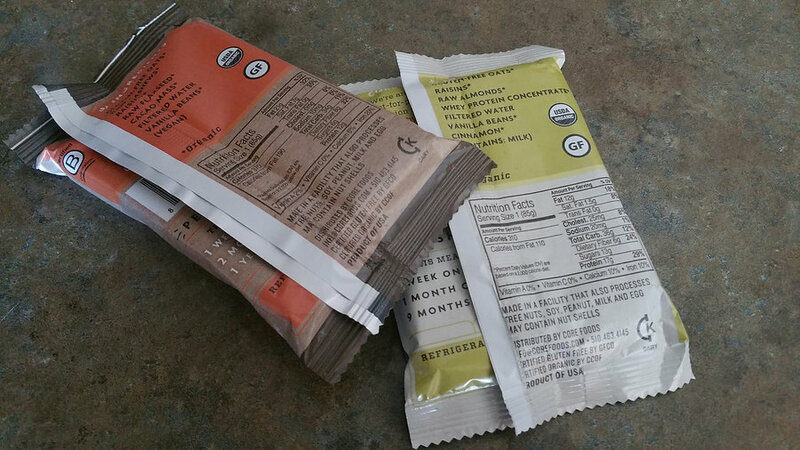 They pack a bunch of protein, healthy fats and fiber into the Meal bars, which is great! There are 2 different kind of bars in 3 different flavors. 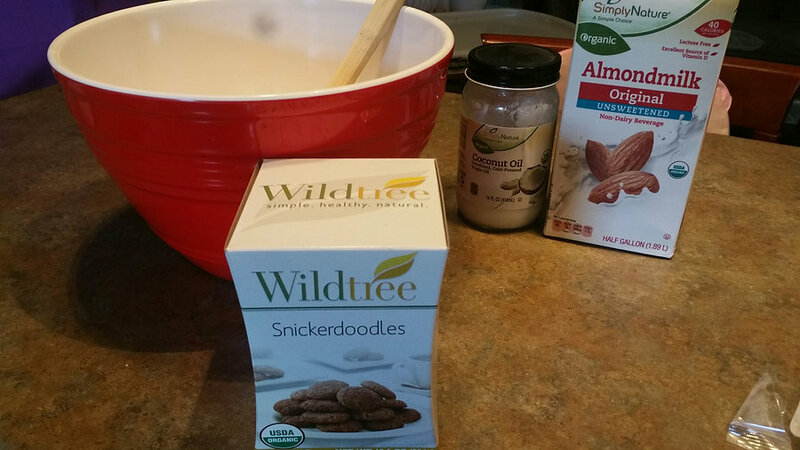 Regular Meal bars…. Almond Raisin, Cashew Cacao and Walnut Banana. Of the 3 flavors, Cashew Cacao was probably my least favorite. However, I still thought it was good. To me, it just didn’t have a whole lot of flavor. Next, I liked the Walnut Banana. It tasted like a not so sweet banana bread. I’d definitely order more of these. But most of all, I really liked the Almond Raisin. It is the sweetest of the 3 and it reminded me more of a cookie. However, like my complaints about sweet snack bars, it didn’t leave me craving more. I was satisfied. 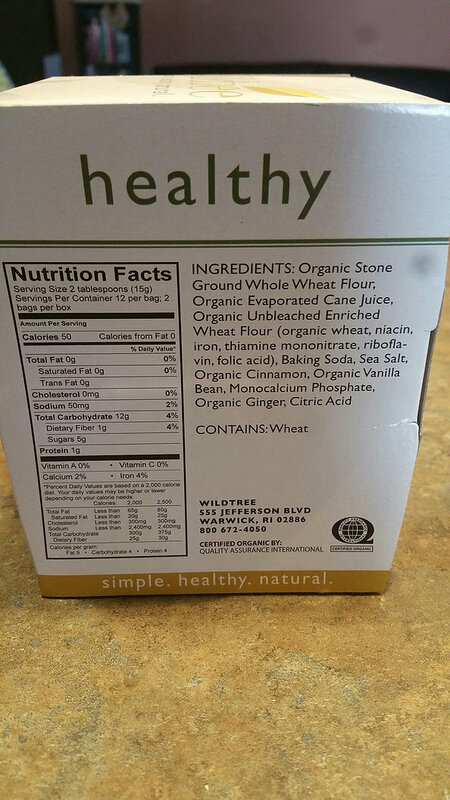 The ingredients used are pretty straight forward. 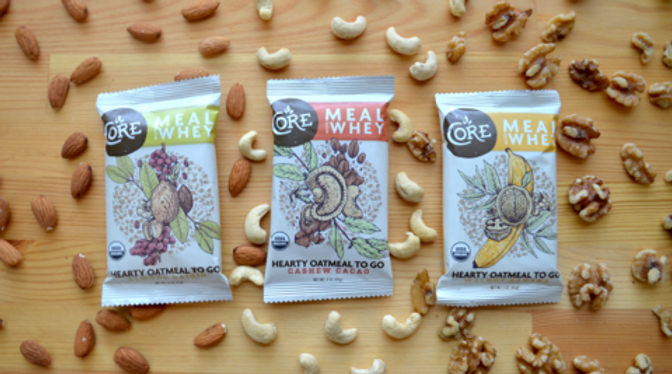 No extra fillers or additives, just as Cory Rennell the guy behind CORE Foods intended. He traveled all over, as he studied nutrition and wanted to keep the ingredients as pure and fresh as possible. Storage is key with these bars, in order to keep them fresh. 1 week in the pantry, 2 months in the refrigerator or 1 year frozen. So overall, I really liked these and will continue to purchase them. 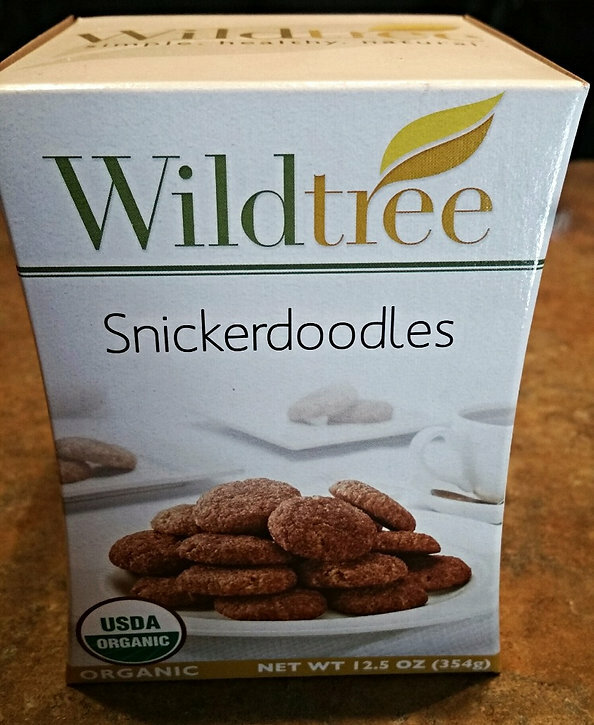 If you’d like to try them, you can find a store closest to you, using their store locator. Or you can buy directly from their site. 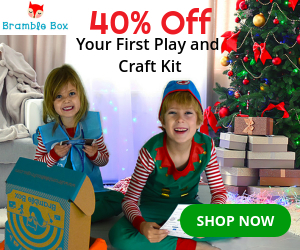 I found that they can also be purchased on Amazon for roughly $45 for a 10 pack, so depending if you choose to do the subscribe and save option on their website, Amazon may be your better option. I wanna hear from you! What is your favorite grab and go meal? I’ve never really been good with words… Fact: I have horrible grammar. I add words into sentences that aren’t necessary, but when I get an idea in my head, I go for it. Who would of thought it would be writing a blog?! Ha! Not me… but it is what it is, so you’ll have to just go with me on this one. So you may be wondering what is Oh My Organics, but first let me give you a little background. My husband, Joe, and I have been married for almost 6 years and we have 2 daughters, a 3 year old named Rylynn and a 1 year old named Remy. We love cooking together and we did it all the time before we had children, but now with kids, it rarely happens.. I can barely use the restroom without getting interrupted, let alone being able to prepare a meal with him without some sort of crisis happening or Remy just deciding at that moment would be best if she cried during the whole time we made dinner. Let me tell you though, we’re pretty good in the kitchen, however, we just made what tasted good and didn’t really care what went into it. When I went to the grocery store I just threw stuff in my cart not even batting an eye at anything organic. I didn’t understand the concept at the time and I don’t think I really cared. It’s kinda sad to think about it now. Luckily, after we had Rylynn something clicked. We wanted to do better. I don’t think we knew what that meant just yet, but we were making an effort. We made all our own baby food, we used cloth diapers and started reading labels. I was still absolutely clueless, but I felt like we were making strides into the right direction. I did a lot of researching and became more aware that the things I did was only a start. Talk about being overwhelmed… Pesticides, GMOs, MSG, and thousands of toxic chemicals, in virtually everything. Thankfully, our eyes were open and we were ready to make even more changes. Between a coworker and our church we had a great group of friends that were like minded who taught us a lot. It was a big Ah-Ha moment for us and we jumped in with both feet. We were reading labels, buying fresh ingredients and organic when available and even jumped on the essential oil band wagon. After having Remy it solidified our ways even more. We not only wanted to do right for ourselves, but especially our children! Over this past fall, I joined a Non Toxic company that opened our eyes to things that we’re putting on our bodies everyday and the effects from that were scary! The more I learned, the more I needed to educate others. Now listen, I know making a switch like that isn’t easy. Saying and doing are two completely different things.. However, its where Oh My Organics is going to help.. Here is how it started. One day I’m browsing Pinterest, because what else do you do during your kids naptime? I come across some of these blogs and let me tell you, some of these blogs I couldn’t believe the attention they were getting from what they were writing about. So I thought if they could do it, then maybe I could too, and who knows maybe I’d be good at it! If I am going to do this, I want it to do something that helps others. I started thinking about my journey and how stressful it was. 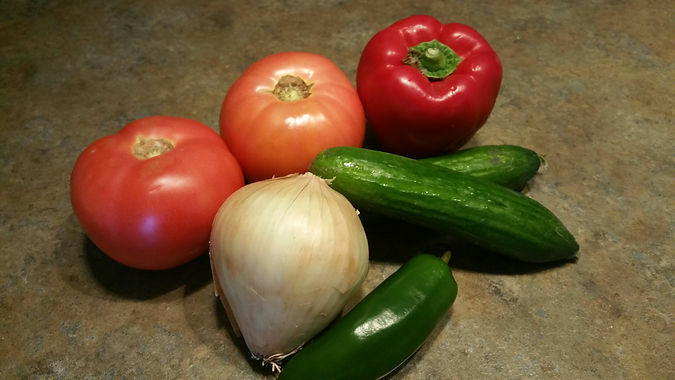 Understanding what organic was and the things that came with it. 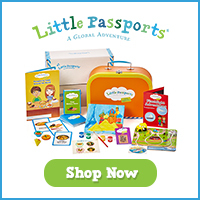 Which brands were trustworthy, which foods taste good, where I could find it and one of the big things for us was how to get it and not have it break the bank! So my idea started to evolve. 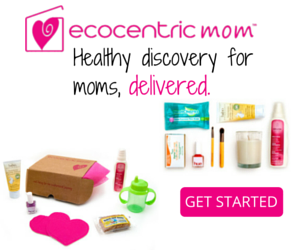 The idea of making the decision of what organic products to choose a little easier. Review them, then share my thoughts. Helping to educate why spending just a little more money on organic is worth it! Not only for them, but also for the environment. At first, I kinda thought this idea was out of my league, but in my heart, I knew, I would be passionate about it. I shared it with Joe and of course he was super supportive like with anything that I choose to do. We played with the name a bit and Oh My Organics came about. I am very excited about this and I hope you all enjoy this journey with me. I hope that at least one thing that I talk about may make a difference in someones life.. and from all that being said…. So begins the project!!! 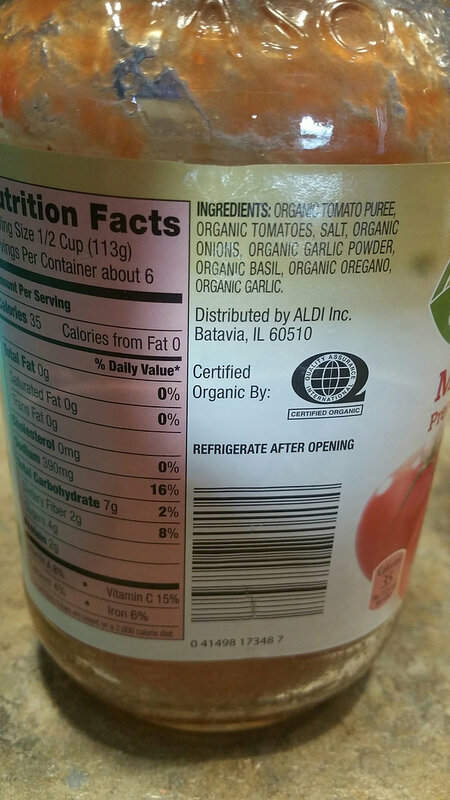 Oh My……..Organics!